Megalodon was one of the largest and most powerful predators to ever live. This now extinct species of shark could reach 59 feet in length with teeth as long as 7.6 inches. Fully intact fossilized examples of Megalodon teeth are rare and highly collectable, often selling for thousands of dollars. 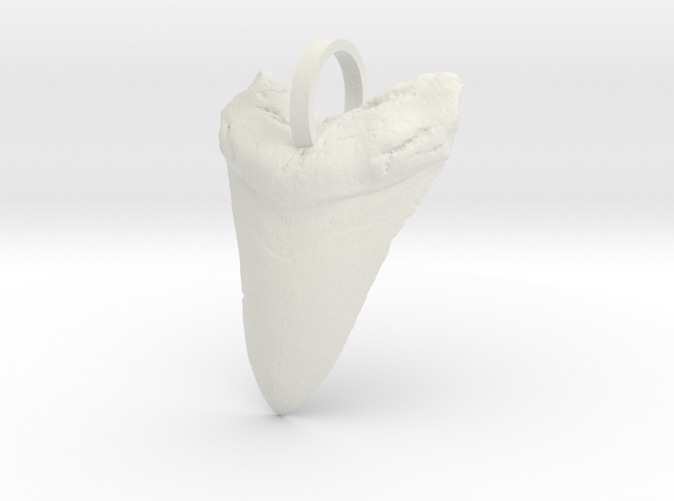 This pendant is an accurate replica of a Megalodon tooth and will be your own piece of prehistoric history.